I have previously written about individuality in jazz on my posts "Individuality in Jazz" and "Finding a Voice". Find your voice? You already have it. You speak everyday. Why don't you think you have it? It's all there. You have a character in your own voice and it comes out on your instrument when you are at your best. I remember this idea of 'gold within you' from Jason Moran, but Patitucci's way of phrasing really opened my eyes. To think that your intrinsic voice is your musical voice - that spoke to me. To demonstrate individuality, I wanted to share different versions of the standard "Body and Soul", which is also one of the most recorded jazz standards of all time. This is one of the most famous versions of "Body and Soul". This recording really showcased the tenor saxophone as a solo voice in jazz at the time. Hawkins brings out the harmony "vertically" by playing phrases that go up and down, rather than a "horizontal" approach of playing notes closer to each other. Hawkins builds in intensity towards the end of the recording, making a wonderful climax. John Coltrane adds many embellishments to the melody and harmony, and plays at a faster tempo. By doing so, Coltrane adds his personality to the way he is playing the melody, different from Hawkins. Even with a jazz standard, Coltrane shows you can reinterpret and 'customize' the arrangement. Notice how Coltrane also has a different tone than Hawkins, even though they both played tenor saxophone. In this vocal version, Holiday has a sparser sound than Coltrane's band. In this way, Holiday focuses on the lyrics and flow of the lyrical statements, while Coltrane focused on the energy of the piece. 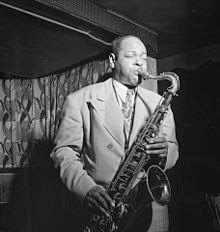 Holiday injects a lot of emotion, and Ben Webster on tenor saxophone demonstrates the "horizontal" approach I mentioned. Like Holiday, Fitzgerald's version has a clear focus on the emotional impact of the lyrics. However, these lyrics clearly mean something different to Fitzgerald, as she inflects them in her own way. Fitzgerald has different diction, phrasing, and embellishes the melody by placing emphasis on different words. 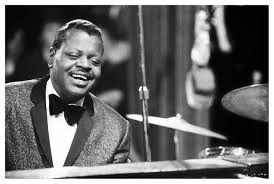 In this video, the pianist Oscar Peterson performed with the Boston Pops. He starts out by playing solo, improvising over the harmony of the piece. Then, when Peterson comes in with the melody, the Boston Pops join him. This combination with strings adds a completely different character to the piece, than the versions with Hawkins and Coltrane. Also, by virtue of playing piano, Peterson finds different approaches to playing his solo, from denser chords to sparser melodic lines. Chet Baker combines his singing and trumpet playing in this version. What I admire about Chet Baker is that his singing voice translates to his trumpet tone. It sounds like he is playing trumpet when he sings and he sounds like he is singing when he plays trumpet. The vocal, lyrical quality is present in every line, and even though he is part of the more subtle 'cool school', he brings the emotional language of the lyric through his understatement. The combination of the string section, along with Armstrong's vocal trumpet tone, creates an emotionally charged melody. Even though both Baker and Armstrong played trumpet and sang in their versions of "Body and Soul", Armstrong has a completely different voice on both instruments. Chet sang the melody in a cool, detached way, while Armstrong seems confrontational and heated in his lyrical interpretation. Even with the most recorded jazz standard, there are infinite ways of interpreting a song. This is done by utilizing your own voice. This voice is how you would speak or say something naturally, and builds on what something means to you. The lyrics, "My heart is sad and lonely/ for you I cry/ for you dear only" mean something different to everyone. And what I think is most comforting in what I learned this week, is that you don't need to go through life 'searching' so to speak for your own voice. It's all there. So, to find our authentic self is to find our voice. What is your favorite version of "Body and Soul"?